Ethiopia’s attorney general,Berhanu Tsegaye, told journalists on Friday that 59 government officials and investors are in custody in connection with corruption. An investigation has been going on over the past three months due to what he described as “very serious crime” committed in public institutions and government projects. The findings from the investigation revealed, according to the Ethiopian government, that there has been squandering of resources. The FDRE Public Procurement & Property Administration Agency has been the focus of the investigation due to the presumption that the agency is susceptible to corruption. Local sources reported on Friday that Yigezu Daba, Director General of the agency, is in police custody. 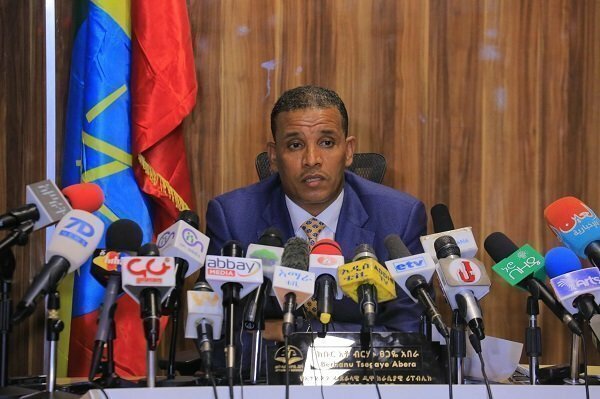 Attorney General Berhanu Tsegay said that the result of the investigation revealed that the government has lost US$23.7 million in connection with the purchase of 400 metric ton of wheat. The government also accused suspects of causing bread shortages which impacted, seemingly negatively, government and society. Ethiopian Water Works Construction Enterprise is another agency that is allegedly indulged in corrupt practices. Heads of different departments in the agency joined hands together to steal during procurement of 55 million birr worth of steel. The other government institution that is implicated in corruption is Pharmaceuticals Fund and Supply Agency (PFSA); it allegedly made 79 million birr worth of purchases against procurement procedures and regulations, the attorney general claimed. Furthermore, the government claims that heads of departments in those organizations are found to have a property worth weigh more than their income. The lists of all government officials involved in alleged corruption practice are not revealed, and their side of the story is not told, too. The attorney general also claimed that individuals who were planning to carry out a terror attack against Ethiopia. The terror attack, which is planned in coordination with international terror groups, government specifically linked them with Al-Shabab, could have caused severe damage had it not been foiled by National Information and Security Services, said Ethiopian government. As well, government claimed that it has seized ID’s, Passports and other items that the alleged terrorists used to plan their attacks. And the investigation is not completed. 2 Responses to "Ethiopia arrested 59 officials, investors over alleged corruption"
It is interesting and very sad. The new Prime Minister was ready to have a fresh start by sincere cleansing of the ‘environment’ that he found himself to be a new custodian!!! In one year’s time he found himself collecting and facing corruption to fill the prisons that he attempted to clean. He is now a new custodian of prison, and starting with “59 official, investors over alleged corruption” to fill the prison space!!! Soon it would not be shocking to find the prisons of Ethiopia to the level of previous Government’s prisons. TPLF is requesting to suspend TPLF’s membership with in EPRDF. TPLF wants to step out of EPRDF.